I've been busy this summer tryna get us a home. Like a place where I don't have to worry about putting a nail in the wall and where I can keep the notches as the Frog Princess grows. Security is top of my list, of course. I wanted to share this post from my travel and tech guru Tawanna because...yassss! Don't we need this in our lives? 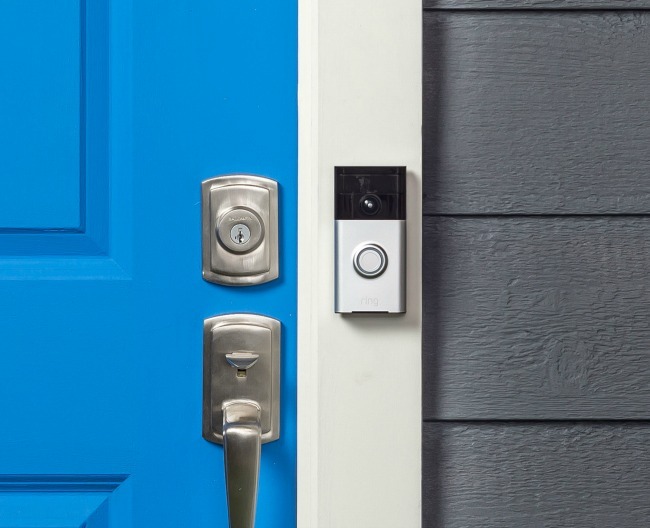 On a peaceful Saturday a couple of months ago, I really wished I had a Ring video doorbell security system. I was home alone with my boys, lounging around the house enjoying a lazy day. My husband was halfway across the world on a four-month deployment. Ring doorbell in nickel finish, courtesy of Ring. A quiet day all around, the kids and I were enjoying our down-time. My 8-year old son danced around the house with his iPad, happily enjoying the world of Handy Manny while my 12-year old and I swapped hero scenarios during the third episode of a Flash marathon binge fest. Suddenly someone knocked on our door. Although I trust my mini security guard, I also needed to do a perimeter check. Peaking through a different window, I spotted a couple of strange young guys with clipboards in their hands. Solicitors. Just as I had expected. I ignored the knock. We resumed watching our show, laughing and enjoying each other’s company. Two hours later another knock bellowed through the house. It was the same two guys. This time they’d switched knocking positions and t-shirts. Peaking through the window again, I took a longer look at their faces. Just in case I’d need that information later. I did what I had done the first time they knocked: I ignored the door. The Third Time Is Not a Charm. Thirty minutes later, a third knock. Are you kidding me?! At this point I was VERY annoyed. And anxious. I understand persistence but this was getting out of hand. These aren’t the guys. 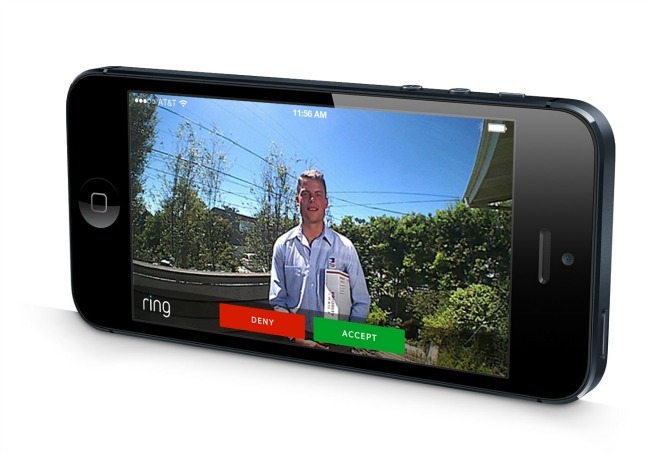 Just a friendly model posing as a delivery guy courtesy of Ring. Although the guys had clipboards and looked harmless enough, they were too persistent for my liking. What could they possibly be selling, that they believed with all their heart, I needed? (This is a rhetorical question by the way. Unless it was a jackpot check from Publisher’s Clearing House I wasn’t interested). During a Flash break, I chatted with my sister. She wanted me to call the police. I didn’t think it was necessary. As annoyed as I was that these guys were knocking on my door AGAIN, and as much as I wanted to share my annoyance with them, I still wasn’t willing to open the door. But I was torn. The only way I’d be able to speak to them to give them a piece of my mind was if I opened my door. I didn’t want to open my door. Being home alone with 2 kids, I’m slow to give strangers the benefit of the doubt. It was at this moment that I knew I needed some type of video intercom system. The 4th time that they knocked (YES chile, they knocked AGAIN!) I had lost my patience. Besides aggravated, I was HANGRY. It was dinner time and the pizza delivery guy rolled up at the same moment that they knocked. 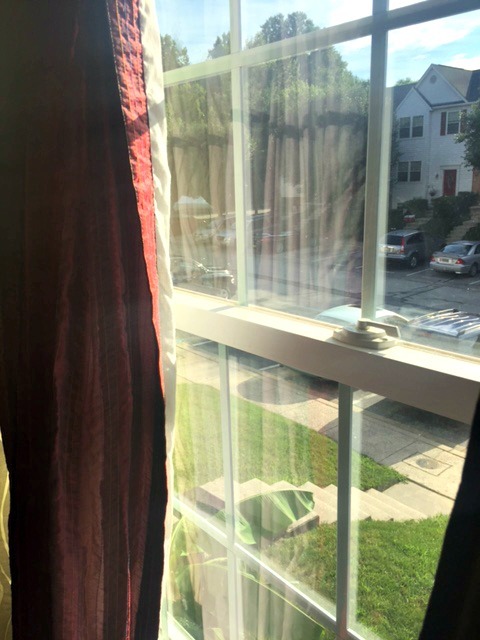 With Ring I wouldn’t have to peak out the front window. I could see and hear through the window that the solicitors were questioning him. Excuse me? Why are you questioning the delivery guy? Unable to avoid the solicitors this time (because I needed my pizzas), I opened the door and gave them “an earful” before paying for my order. Tawanna Browne-Smith is the Managing Director of MGTTravel Media as well as the Editor In Chief of MomsGuideToTravel.com. She's built an online business centered around travel and digital marketing and has written for popular online travel publications such as the Travel Channel, 10Best USA Today, and Trip Advisor to name a few.